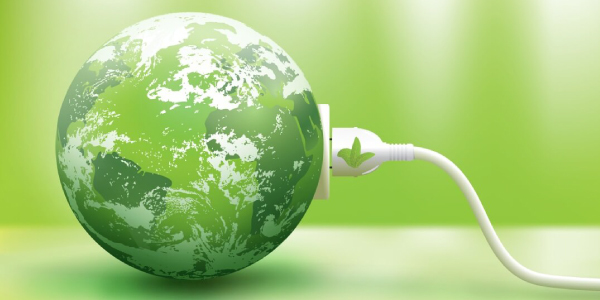 Being an energy conscious I have had doubts for a very long time about certain personal habits on energy saving, consequently I have researched for accurate information and long last I admit that now I feel most reassured that my practices on energy economy are unmistakably correct. Leaving florescent lights on or switched off, the eternal dilemma. Take for instance the predicament of leaving florescent lights on or switched off and on, or perhaps you have wondered if an electrical convection electric cooker is more economical than a gas one and so on. Well carry on reading and be prepared to be surprised if not scandalised. There are myths that have become accepted among the collective imagination of the population, as truthful. However, many of these believes do not conform to scientific facts. And it is contrary to what was brandished by Goebels about that a lie repeated a thousand times becomes truth, in this area of energy savings, in the end, numbers undoubtedly tips the balance to its side. A study that took place early this year between Eurostat and the IDAE (The Spanish Institute for the Diversification and Energy Saving) highlights the importance of energy saving at home. The report reflects that Spanish households consumed 17% of the final energy and 25% of electricity, with an annual average expenditure per household reaching 990 Euros. According to the International Energy Agency, the potential savings of Spanish households is 19.6G Wh, an amount that would illuminate all Spanish households for a year. Hand dish washing consumes less than a dishwasher? Various studies backed the use of the dishwasher against the traditional washing of dishes. A report of the Canal de Isabel II (The Madrid water company) and BSH home appliances in Spain reflects that, against the traditional washing by hand, the use of the dishwasher the dishes remain cleaner longer, and produce a saving of 30 litres of water a day and 10% less energy is consumed. Of course this is so if efficient low consumption appliances are used (look for the energy efficiency certificate when purchasing them), which will allow to choose the temperature of the water and reuse the heat for a subsequent clearing or drying of dishes. Selecting an efficient appliance against another inefficient could represent a saving, during its life time of more than 70% on the energy consumed. According to a study by the University of Bonn, the quantity of water consumed by a dishwasher class A is about 15 litres per wash, against 119 litres washing by hand. With a biothermic appliance, that is one which has a hot water inlet, the consumption is even greater if the water is heated using solar energy. Turn off the heating consumes more than maintaining a constant temperature? This is false. In many homes, it is usual to maintain an average temperature during 24 hour, as it is considered that turning the heating off and on has a greater energy consumption and, thus, more expenditure. Although a heat rise is required to again reach the desired temperature, the final balance of energy consumed is more advantageous. According to a study of the Green Office of the University of Zaragoza, if the temperature is limited to 16 ° C between ten o`clock in the evening and six o'clock in the morning, you can trim off around 13% on the annual fuel consumption, with regard to what would happen if it is maintained at a constant temperature of 20 ° C. If it is shutdown the savings is even greater. The new regulations in Spain advice that to adjust the thermostats to 20ºc in winter and clearly specify that to increase 1° C the temperature can generate 7% more consumption of energy. Standby mode of electronic equipment hardly consumes energy? Leaving electrical appliances in standby mode supposes an expense of 231 kWh a year, almost the same as the average annual consumption of a dishwasher (246 kWh) and much more than a computer (172 kWh), according to the latest study of the IDAE. The standby led lights and others mechanism which are required to maintained certain electronic appliances in a standby mode could represents about 5% of the household consumption. Due to the small size of windows related to the rest of the facade, its heat loss is minimal. Several expert studies reflect that between 25% and 30% spent on household heating is to cover the heat losses which go through badly insulated windows. According to a report by the University of Zaragoza, double glazing or double window systems can reduce heat loss against single glass as much as 50%. Keeping fluorescent lights on spends less than if they cycle on and off. This is another false idea very widespread among households. Studies have shown that despite the fact that an over-consumption of electricity is required to turn on a fluorescent tube, it barely lasts a fraction of a second which is much less if you leave them on. Electric cooker spends less energy than the gas. Experts say that electric cookers or electric cook tops consume four times more than gas.